Ed DeVos is a retired highly decorated US Army Infantry officer with over 20 years of active duty service in Vietnam, Germany, and various other locations in the United States and overseas. He is a distinguished graduate of the US Army Command and General Staff College where he received his Master’s Degree in Military Arts and Science with an emphasis on military history. After his retirement from the Army as a self employed businessman for over 17 years, he helped hundreds of families in all aspects of investments and insurance. For many years, he has served Jesus Christ in the churches he attended in various administrative and teaching positions. 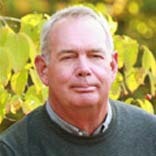 In addition Ed has written a number of newspaper articles concerning South Carolina’s involvement in the American Revolutionary War as well as being published in the Infantry Magazine at Fort Benning, Georgia. Ed and his wife Susan now enjoy their retirement home in McCormick, South Carolina.